Sweet Spring card by Stephanie! This spring flower card by Stephanie Muzzulin is so adorable! She used the sweet little flowers from the Versatile Vases stamp set and paper pierced them to create the focal point of this card! That yellow and white striped pot is so cute! 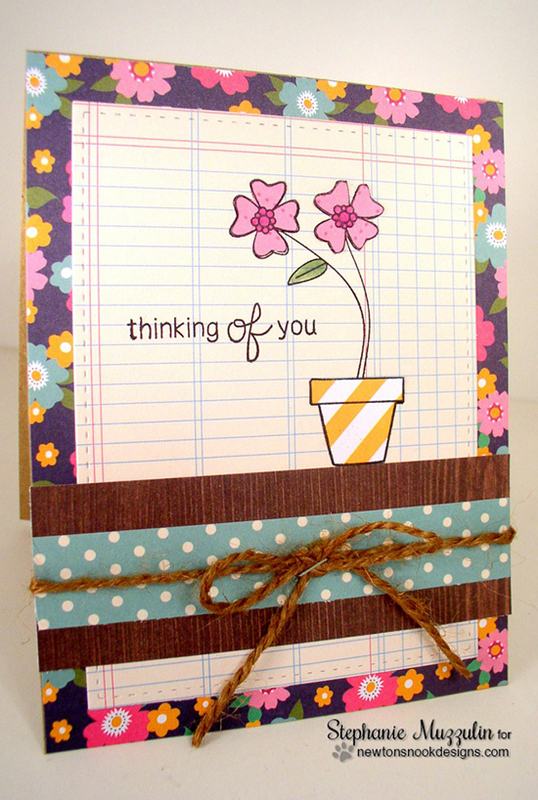 She also used the "thinking of you" sentiment from the Versatile Vases stamp set. The yarn bow gives it a fun finishing touch too! Such a pretty card! I love the pattern papers!